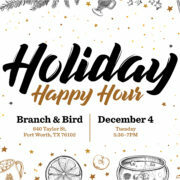 In lieu of our December luncheon, join us for a holly jolly happy hour instead! Celebrate another successful year for GFW PRSA with a cocktail, overlooking downtown Fort Worth at the Branch & Bird rooftop bar on Tuesday, December 4, at 5:30 p.m. The cost is $5 per person (appetizers included). Join us for the Seventh Annual Worthy Awards Gala, presented by Bell Helicopter, on Thursday, November 15, at The Fort Worth Club! Emcee and entertainment will be provided by Four Day Weekend. 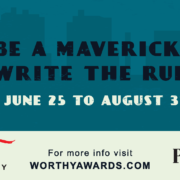 Established in 2012 by the Greater Fort Worth Chapter of PRSA, the Worthy Awards showcase exemplary programs and tactics created by public relations professionals in the Greater Fort Worth area.